We’ve been reporting on several commitments to the Stevens Institute of Technology the last few days here and on our “Lacrosse Insider” section. There’s a perk that comes with attending Stevens Tech that we have not yet explored until now. “Hoboken is an awesome little place,” said Bob Giordano of John Jay High School (N.Y.). Giordano, a physical position defender, verballed to Stevens Tech on Aug. 7, a commitment first reported whenit was made by Joe Lombardi. The 5-foot-11 Giordano plays for the Prime Time 2014 travel team. “He is a very strong positional player who is a physical force on the field,” said Prime Time Director Nick Daniello, who himself played at Stevens Tech. 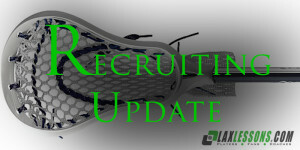 Giordano joins Graham Bocklet (Vermont, defense) and Shawn Smith (Michigan, midfield) as John Jay Class of 2014 commits. Now, here’s a Q&A with Bob on his commitment. What were the main factors in your decision? Stevens offers a great education with some of the best D-III lacrosse and that’s exactly what I was looking for. (Stevens Tech Head) Coach (Gene) Peluso was very straightforward with me throughout the recruiting process and I’m very excited to play for him. (Stevens Associate Head) Coach (Matt) Madalon was also great. What other schools were you considering and what schools did you visit? I visited Michigan, Providence, Sacred Heart, Salisbury, Hartford and Siena. What are your strengths as a player and how would you describe your style of play? I would describe myself as a physical positional defenseman who can push a little offense and cross over the midfield. What area of your game do you need to work on? I need to work on my overall lacrosse IQ, and continue working on my footwork and stick skills. How did you get introduced to lacrosse and what other sports have you played? My dad introduced me to lacrosse at a young age and John Jay has a phenomenal youth program that I grew up playing for. I played varsity football as a sophomore. What travel team do you play on what showcase events did you participate in? I’ve played for Prime Time 2014 since the start. I participated in Jake Reed’s Nike Blue Chip, Maverik Showtime, NYLA Showcase, Battle of the Hotbeds, King of the Hill, Champ Camp, Section 1 Moonlight Showcase and MVP. I would like to thank my Prime Time director Nick Daniello, who was a huge influence in my choice and has helped me very much from the start. I would also like to thank my (John Jay) varsity coach, Tim Schurr. I am very thankful to have such great coaches who have helped developed my play. They have helped me and provided support through every step of the way. I would also like to thank my parents for supporting me through the long recruiting process. Have a recruiting commitment to report? Email us at info@laxlessons.com or joe@laxlessons.com or send a Tweet to @Joe_Lombardi or @LaxLessons. Are you passionate about lacrosse? Do you love being the first to know and always being in the know? Then get access to unprecedented, groundbreaking coverage of summer travel and high school lacrosse and college recruiting now. Become a Lacrosse Insider here. * For a list of committed players with their profiles up, click here.